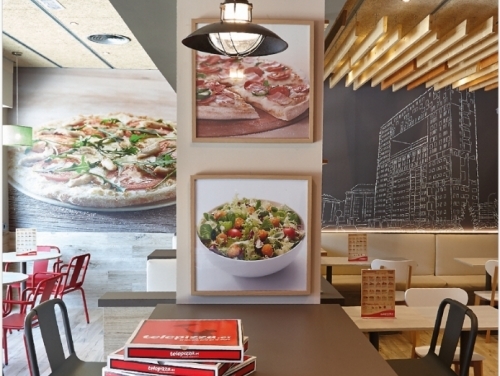 Telepizza UK Ltd have been appointed as master franchisor for Telepizza S.A.U. (Spain) across a large swathe of Central, South and South East London. SHW have been appointed to source suitable sites and are now concentrating on securing initial sites in the London Boroughs of Hammersmith, Fulham, Kensington and Chelsea, Kingston-Upon-Thames and Wandsworth. Sites will also be considered in the London Boroughs of Camden, Westminster, Lambeth, Southwark, Merton, Sutton, Greenwich, Croydon and Bromley. The requirement is for sites suitable for either take away / delivery restaurants or dine in / take-away / delivery. Sites should be from 800 sq ft to 2,000 sq ft in busy, prominent locations. Naresh Malda, MD of Telepizza UK said: "Telepizza are the world's leading Mediterranean pizza delivery company. I was looking to invest in the food sector and once I investigated this brand and the quality of the product I knew it was perfect for UK expansion." Nigel Evans, Partner of retained agent SHW commented: "It is very exciting to be seeking premises for a company new to the UK but which has a proven brand with more than 1,300 stores. The concept and quality of the product will ensure the growth is rapid in this competitive sector."